Hello everyone, I have an order in for a Dojo Charter, if anyone is ready to order a Rank , Dojo or Director certificate now would be a good time to do that since I need a minimum order of two certificates. Sensei says that he has to have a minimum of two certificates he can no longer do just one at a time, since he farms the certificates out to a Master Kanj Sensei who does all certificates by hand. They are not printed. Brandon ihas been practicing Wadoryu style karate and would like to change to Okinawan Karate. So please give him a warm welcome. I started my martial arts training in Feb of 1972, gong on 47 years of consistent regular training, and have been teaching classes and seminars for over 43 years. My focus of study has been Shorin-Ryu Karate, Hakutsuru, Kobudo, Iaido, Boxing and Kickboxing. I have also studied Isshinryu, Kyokushin, Tae Kwon Do, Judo, and Ju Jitsu. They have all helped me to understand proper movement , relaxation in and kinematics of motion, kinetic energy and energy transfer. They all, have also, taught me how to be a better person than I was the day before. I was a trainer and corner man for Team Sparta Fight Club in Warrenton and Fredericksburg Virginia. We had fighters successfully competing in the IKF. I retired from that in 2008. I have been very fortunate to have been able to train with some excellent, extremely accomplished instructors over the years. Each one has taught me extremely important concepts and precepts that have had a major influence on the way I practice and teach martial arts. It has been a Great Honor to train with these individuals, some for decades, and some only for hours.I hold classes twice a week in Warrenton Virginia. We have been in that facility since 1981.
passing of member Sensei DR. steve gojas 2018 - R.I.P. I would like to inform everyone of sad news, Dr. Steve Godjas Sensei, passed on last Friday from cancer treatment complications. He was a Shodan when he became a Member of Matsusokan in 2015, he took his examination for Nidan with me. He was a very dedicated Karateka always there to help when needed, he wrote the monthly News letter for Matsusokan. 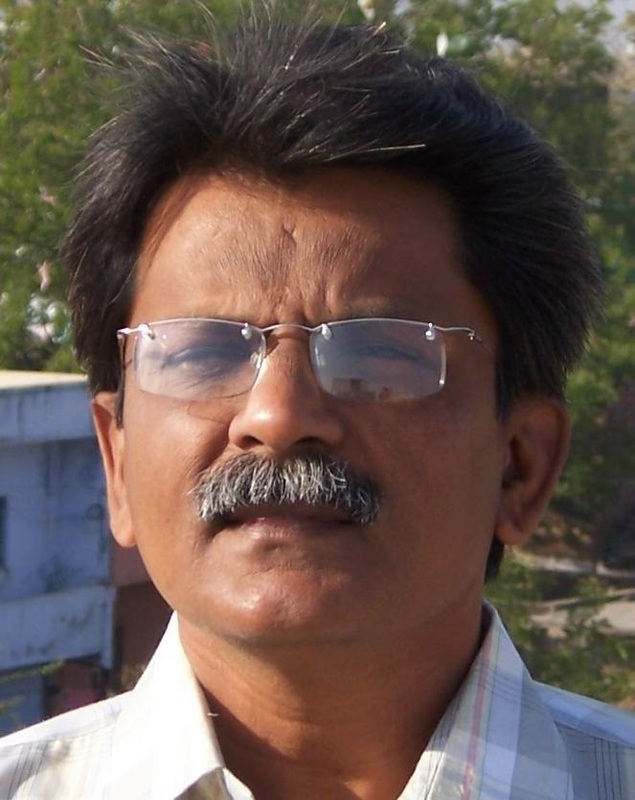 Its really sad to know he will not be with us anymore. I will miss him very much. For those of you who wish to learn Shinzanryu, which is Yabiku Sensei personal Kojoryu Style, there will be Rank Diplomas issued in Shinzanryu Style. There are 6 kata, 1) Tenkan, 2) Kuukan, 3) Chickan, 4) Hakko, 5) Hakoryu, and 6) Hakkaku Hombu they are in that order on the SD card. If you wish to start learning Shinzanryu towards a Rank you must learn all 6 Kata. Please register with me per Email. If you have any questions feel free to ask. I would like to thank Sensei Godjas for taking the time each month to write a news letter for us all. Please if you have time thank Sensei Godjas. ​​Please welcome our new member Tim Ryan, who will be crossing over from Shotokan to Okinawa Matsusokan Karate. He is presently a 3rd Kyu. I've studied karate for years and achieved 3rd kyu in Shotokan. I'm currently training in Shorin Ryu via distance learning and was curious if I could test for rank within your system through video? I really want to study and learn the more traditional katas which have always been more practical to me for self defense. To all Matsusokan members in the near future we will be posting all Shinzan Ryu Kata (Kojo Ryu Kata) on our website for members to learn, the system is now a part of Matsusokan. This (Shinzan Ryu) is the personal Style of Sensei Yabiku, we have his blessing to do this since he has made it a part of Matsusokan. These kata are exactly as Sensei teaches them, there are no changes to the kata to keep them secret as some are doing when they hold seminars, altering the kata so they only know the real original form. ​Any comments on this will be welcomed, give us your thoughts on Shinzan Ryu, since we already practice other styles along with Shorin Ryu this will be a great addition. ​I've studied Jundokan Goju Ryu in my early days of service, but never formally received rank from the dojo that I trained in while stationed near Anchorage, Alaska. 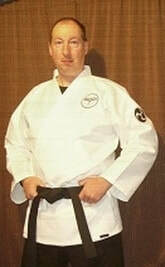 I've also most recently studied Uechi Ryu under Sensei George Mattson via his online program and skype private lessons. I completed a study of Uechi Ryu's Sanchin, but elected to not continue in Uechi Ryu as my interest has always been more in Shuri-te derived systems. So, that's the most direct connection that I have with Okinawan Karate. Indirectly, I achieved a 1st Dan in Tang Soo Do prior to my living home for my military service. As you know, Tang Soo is derived from Shotokan and adopted the use of its kata in its syllabus. That's an indirect link at best, however. There was no pure Okinawan Karate in my town growing up. Okinawan shiko-dachi stanceOkinawan Karate has a lot of high stances. Seisan bunkai by Miyagi Chojun If you practice Karate in Okinawa, you will often hear the word “imi”. #3. No “Osu! / Oss!” In Japanese Karate, the verbal command “Osu!” (pronounced “Oss!”) is used sometimes. 75-year old Tsuneko Machida, 4th dan. She started Karate at 63-years old. When Karate was introduced to Japan, many things changed. #5. Chinkuchi Over Kime In Japanese Karate, the concept of “kime” is super important. Teaching Kobudo in my dojo. The eiku (oar) is the highest weapon in Okinawan Kobudo. Japanese Karate is mostly empty-handed. #7. Old-School Strength Tools Okinawan Karate masters always promote physical conditioning. Motobu Choki applying tuidi (Naihanchin)Next, we have something called “tuidi”. Funakoshi Gichin teaching Karate to students at Keio UniversityAs you might have figured out by now, Okinawan Karate has many unique quirks. sensei Patrick fallay has taken and passed the 9th dan examination in Okinawa with sensei takaya Yabiku. Sensei Patrick Fallay went to Okinawa for two weeks in April to not only train with Sensei, but also take his 9th Dan examination. Even though Sensei Patrick Fallay has had several strokes he still manages to put forth the effort to train in Karate. ​ He did not simply receive his 9th Dan, but had to take an examination which took the whole day. He will be returning with his wife in May, when he and his wife will train with Sensei. ​Lets give Sensei a hardy congratulations on passing his 9th Dan examination. Sensei Patrick Fallay will be going to Okinawa to train with Sensei Takaya Yabiku for two weeks in April, I recommended to Sensei that he give the 9th Dan examination to Sensei Fallay. Sensei Fallay is presently an 8th Dan and has been since 2001. He was recently issued an 8th Dan by Sensei for recognition of his present rank of 8th Dan. We all hope that he will have an exciting time training with sensei and I hope he will pass his examination. ​One thing most people do not know is that examination fees are paid in advance, should you not meet Sensei's standards for the examination you have one more chance to re-take the examination. Should you fail the second time your will not be refunded your money. So you do need to know your stuff, for this high rank it is not how well you do physically but more on the knowledge, character and what you have done for Karate. Sensei Fallay has also been teaching in the Philippines, Cambodia and the disabled children in Dubai, that should be a plus for him. I look forward to hearing from Sensei Fallay while in Okinawa. Everyone wish him the best. I am promoting Sensei Boris Wrazidlo to the position of Director Of Matsusokan Germany, he will replace Sensei Afra Johmann-Anderer. Sensei Wrazidlo is the Senior Trainer for Matsusokan Karate in Germany, he has been with Matsusokan since the mid 1990's he is very dedicated to Matsusokan and an excellent Karateka. Sensei Wrazidlo is the third person from the left in the black Gi. He just completed a seminar with the other Karateka in the photograph. Sensei Wrazidlo attends seminars with different styles of karate to further his knowledge of Karate along with weapons training. Most of Sensei Wrazidlo free time is spent on teaching and learning Karate when he is not at work, a very demanding schedule. I am pleased to announce that Sensei Afra Johmann-Anderer 7th Dan has been promoted by me, with approval from Sensei Yabiku of Okinawa Matsusokan Karate association to Difrector of Europe. She was the Director for Matsusokan Karate Germany since 1998. She has devoted all her free time to teaching Karate and keeping the Dojo together. She was a brown belt in Shotokan Karate when she joined my Dojo in Karlsbad Germany in 1991, so her experience in Karate starts before she joined Matsusokan. I am honored to have been promoted by Yabiku Takaya Sensei to Dai Sensei of Okinawa Matsusokan Karate Association, Okinawa Japan. ​I was with Sensei Ron Lindsey under Sensei Kuda at the time in 1989 I was moving to Germany and with the advice of Sensei Ron Lindsey, I joined Sensei Yabiku's Organization in Okinawa. I have been with Sensei Yabiku since May of 1989 and opened the first Matsusokan Dojo in Jagsthausen, Germany in 1989. The second Dojo I opened in Karlsbad, Germany and to this day is still active under the leadership of Sensei Afra Johmann-Anderer and Boris Wrazidlo, and the other blackbelts. Sensei Patrick Fallay, Sensei Myrine Jane and Cherie Fleur have been certified by Sensei Takaya Yabiku, and issued their present rank of 8th Dan for Mr. Patrick Fallay, 5th Dan for Ms Myrine Jane and 2nd Dan for Ms Cherie Fleur. I began studying Kobudo with Shihan Michio Nishiuchi. I have been studying Kobudo for six years now. I began developing my own curriculum of personal karate study, drawing from many sources. I currently practice the three Naihanchi kata and Matsumura No Passai as taught by Shubukan Shorin-Ryu, the Ji'in-Jitte-Jion kata group, and Tomari No Wanshu and Matsumura No Seisan as taught by Seibukan Shorin-Ryu. In Kobudo I practice Oshiro No Kun, Shiromatsu No Kun, Shushi No Kun, Choun No Kun, Sakugawa No Kun, and Tsuken No Kun, as well as Yaraguwa No Tonfa and Tsuken Sunakake No Eku. ​The style of teaching that you briefly describe on your website is exactly how I study, I have been thinking of finding some small space somewhere where I could open my own Dojo for the kind of karate and Kobudo that I study and very much would like too share with others. ​break during my Art College education I started to train again in Taekwondo and Jujitsu. Although, I was not fully comfortable with these arts as I felt they did not suit my individual approach. Then, suddenly through personal illness I had to take some time out, after a near death experience due to a virus that attacked my heart, I started to practice Kiko and Reiki to regain my health and stamina. These arts had such a positive effect on my physical and mental health that they also led me onto a new career path and I retrained in holistic health arts to help others and share my story. I now practice Japanese Health Arts such as Usui Reiki Ryoho, Kiko and Anma. I then progressed with a short journey into Shukokai Karate until I decided to practice a more practical version of Karate Jutsu as I have never really been interested in sport karate. I am also very interested in developing my studies further with practical, historical and theoretical knowledge in Okinawan Kata and Kobudo. welcome to new member of Matsusokan Sensei john peeler ju-dan from florida, usa. I started Shorinji ryu karate under Sensei Kise in Okinawa December 1967 and he transitioned completely under GM Soken’s Matsumura Orthodox around March 1968. I had the privilege to also train with Sensei Shian Toma, Sensei Yuichi Kuda, Sensei Seiki Arakaki, Ed Duga, Sensei Kinjo and GM Shigeru Nakumura. While stationed with the U.S.Navy I trained in Judo paid by the Navy to compete on the Navy’s Judo team representing Okinawa. In 1973 in the U.S. as a civilian I trained in Aikido under Sensei Tomlinson along with my karate with Olympic Karate Studios. 1985 era I took up Nei Dan Qi-gong but did not get serious about that till early 2000’s. In 1977 I got together with Sensei Kise and went under him with S.M.O.K.A. for a year but that dissolved in 1978 when Kise broke away from Soken and SMOKA and Kise separated. Mid 2000’s I got back with Tom Hunnicutt, my senior, whom I trained with in Okinawa and with the Judo Team, and took up Matsumura Bushi Jutsu under the A.O.O.M K A.
Mr. Carlos Alberto Rodriguez Gonzalez ​practices Goju Ryu karate in Puerto Rico and is a Ni-dan. My first training in Okinawan Goju Ryu Karate Do began with the Hanshi Joseph Soto, who promoted me to Sho-Dan in the 2010. Hanshi Ramon Colon Velez of Puerto Rico from Miami.Buscando a master of Okinawan Goju Ryu Karate Do was my next Sensei I start to practice with that master and on September 2014 was promoted to the rank of Nidan. I was also promoted to the rank of Ni Dan by the Hanshi Raymond Hermann of the All - American Goju International Karate Association. I like traditional Okinawan Karate that is why I have become a member of Matsusokan. ​I started to practice martial arts at age 5 in 1977. I started with judo but after two years I started practicing karate . My Master, 8th Dan Matsubayashi Shorinryu, taught Shorinryu in Nazional Federation of Karate. In 1989 I pass the exam for black belt. In 2010 a national commission has honored me with the rank of 6th Dan master in Shorinryu. Recently a national governing body of sport and martial arts assigned me and honored me with the 7th Dan in Shorinryu. An diesem Wochenende (30.04/01.05.2016) waren Alexander Nees (4.Kyu) und Sensei Boris Wrazidlo (5. Dan) vom Deutschen Matsusokan Karate und Kobudo Verein Karlsbad e.V. Auf einem Seminar "Little Okinawa 2016" in der Kampfsportschule Esslingen, dieses Dojo wird durch Shihan Andree Kielholtz (7. Dan) geleitet. Das Seminar selbst wurde durch Shihan Andree Kielholtz und Nils A. Scheiring (4. Dan Ryukyu Kempo) geleitet. Am Samstag standen folgende Themen auf dem Programm Kyusho Ziele am Kopf und Kuatsu, Seyunchin Kata und Bunkai, Kyusho Jitsu Bunkai der Niseishi, Tegumi/Flowdrills aus der Kata Seyunchin. Der zweite Tag war ebenso gut mit Themen belegt, Drills/Körpermechanik und Stellungen, Kobudo Tanbo, Kyusho Jitsu und Messerverteidigung, Batto Jutsu. Das ganze Seminar war sehr spannend und lehrreich. Man könnte viele Kontakte knüpfen und gemeinsam lernen und sich austauschen. Getreu dem Motto des Seminars: "Ichariba Choodee, Once we meet and talk, we are brothers and sisters"
This weekend (30.04 / 01.05.2016) were Alexander Nees (4th Kyu) and Sensei Boris Wrazidlo (5th Dan) from the German Matsusokan Karate and Kobudo Club Karlsbad e.V. At a seminar "Little Okinawa 2016" in the martial arts school Esslingen, this Dojo is led by Shihan Andree Kielholtz (7th Dan). The seminar itself was led by Shihan Andree Kielholtz and Nils A. Scheiring (4th Dan Ryukyu Kempo). On Saturday the following topics were on the agenda Kyusho targets the head and Kuatsu, Seyunchin Kata and Bunkai, Kyusho Jitsu Bunkai of Niseishi, Tegumi / Flow Drills from Kata Seyunchin. The second day was also well documented issues, Drills / body mechanics and positions, Kobudo Tanbo, Kyusho Jitsu and knife defense, battōjutsu. The whole seminar was very interesting and instructive. One could make many contacts and learn together and exchange ideas. True to the motto of the seminar: "Ichariba Choodee, Once we meet and talk, we are brothers and sisters"
I started karate in October 1972 with Hiroshi Gamaito who was arrived in France in 1960 before going to Belgium. He promoted me to 3rd Dan on June 1984, he passed away on September 1984. My uncle, Bigot sensei, his eldest student, took over and promoted me to 8th Dan in September 2001, he retired at that time. I made contact with Chuck Chandler in 1999 before becoming member of his association in 2000. In 2002, I received a 8th Dan diploma with seal from Yabiku sensei. I stayed with Chandler association representing Yabiku sensei for a year before he passed away. Later I was contacted by Mr. Griffin and Joyce Stech both telling me they where the official representative of Yabiku Sensei. I did not registered with them. I found you on the website Matsusokankarate.org, and contacted you that is how I came to join present Okinawa Matsusokan Karate and Kobudo. Myrine Jane started Matsumura Shurite with me in 2003, in the Philippines and was promoted by me to 5th Dan, in November 2015. Here full name is Myrine E. Jane, Philippines citizen. Miss Dimple valia is the assistant instructor for sensei Dhansukh Valia, she hold the rank of Sho dan. Please everyone welcome our newest members, we are very pleased that they have chosen to become members of Matsusokan and represent in India Takaya Yabiku O'sensei of Matsusokan. Sensei Valia received his Go-dan in August 2000. Konnor Lyons age 14, has passed his Black belt examination. He has been studying Karate since April of 2012 with me one on one. He will be promoted to Sho-dan by Yabiku Sensei on my recommendation. The Kata he performed for the examination are Uechiryu Sanchin, Naihanchi Shodan, Naihanchi Nidan, Isshinryu Wansu, Uechiryu Seisan, Gojuryu Seisan, Isshinryu Seisan, and Passai Dai. Weapons Kata Bo: Shushi No Kun, and Basics for Kama, Nunchucks and Tuifa. Please welcome our newest Member, current rank is Shodan (Hakutsuru) from the Okinawa Shorin Ryu Kobukan Karate Federation. The last ten years have been devoted to kung fu but I had studied karate, off and on from childhood, (I cannot recall the style), from a Japanese neighbor growing up in New Jersey. My formal training in Okinawan karate has been through the Okinawan Kobukan Karate Federation from Kyoshi Lawrence Vellucci. Kohleen Lyons has taken her Yudansha examination, on Thursday 24th of July, 2014. She was promoted to Shodan by Yabiku Sensei from Okinawa, Congratulations!! CONGRAtULATIONS TO THE GERMAN KARATEKA ON passing their examination and PROMOTION. Am Dienstag den 29.07.2014 konnten zahlreiche Mitglieder des Deutschen Matsusokan Karate und Kobudo Verein Karlsbad e.V. unter den Prüfern Sensei Afra Johmann-Anderer (7.Dan) und Sensei Boris Wrazidlo (5.Dan) Ihre Gürtelprüfungen ablegen. Die reibungslos verlaufenden Prüfungen wurden durch alle Prüflinge mit Erfolg abgelegt. Wir gratulieren den Prüflingen zur bestandenen Prüfung. ist durch den Sensei Josef-Peter Roemer , zu Go-dan (5. Grad Schwarzgurt) befördert worden. I wish him many good years with Matsusokan Karate. He will be taking his Black belt test this summer. Enbukai 2002. Okinawan guest Uechi Tsuyoshi. Bill Steigner, Walter Van Gilson, Josef-Peter Roemer, Robert Stafreed, myself all students of Shimabuku Tatsuo Sensei on Okinawa attended. Another student of Tatsuo Sensei, Sherman Harrill wanted to attend but could not because of medical reasons. As Marines do, we kept an open seat for him. This was my first Matsusokan Karate Dojo in Germany, the school stayed open until I had to move due to my employment. After my move I continued to train the students at the school, but eventually the travel time was just to much. Even though they paid for my mileage, I could not keep it up. So I believe it closed in 1993. It was a shame it had to close but without me being there for training it just did not work. They were all great students. Both towns are small country towns so the turnout was really great, better then in a large town. Sensei Afra Johmann-Anderer has been chosen to be the new Director For Okinawa Matsusokan Traditional Karate Germany e.V.. She has been training in Okinawa Matsusokan Traditional Karate since 1990, and before this with Shotokan Karate. She has been instrumental for growing Okinawa Matsusokan Traditional Karate e.V. in Germany since 1998. She will continue to grow Okinawa Matsusokan Karate e.V. as the new Director. At the present time there are two Dojo's in Germany, we hope to see many more in the future. The photograph on the left is The Director Certificate for Germany issued to Afra Johmann-Anderer by Sensei Takaya Yabiku, Honbu Dojo Okinawa. Sensei Afra Johmann-Anderer wurde von Großmeister Yabiku Takaya als Direktor des Okinawa Karate Deutschland ernannt. Sie ist seit 1990 aktives Mitglied des Okinawa Matsusokan Shorinryu Karate, sowie zuvor aktives Mitglied des Shotokan Karate. Als Mitbgünderin des Okinawa Matsusokan Karate Vereins Deutschland wird sie auch weiterhin lehren und die Gründung neuer Schulen fördern. Zur Zeit gibt es zwei Dojos in Deutschland, welchen so hoffen wir, noch weitere neue folgen werden. ist durch den Großmeister Takaya Yabiku, zu Nana-dan (7. Grad Rot/Weissgurt) befördert worden.